Google Optimize is Google’s A/B testing tool for websites. As with most Google apps, Google Optimize offers a lot of functionality for free, with a corporate tier for when your A/B testing needs become more complex. In this article, I’ll show you how to use Google Optimize to make data-driven design decisions by experimenting with variations, to see which converts better. Google has done well to make Google Optimize accessible to all website owners by removing the need for a web developer, and making the tool really easy to use. Better yet, Google Optimize integrates directly with any Events and Goals defined in Google Analytics, to make evaluating metrics even easier. If you already have your Goals and Events set up correctly, A/B testing with Google Optimize is as simple creating variations of web pages using the Google Optimize interface, selecting the relevant Goals to evaluate, going live with a website experiment, and then waiting to analyze the results. You use Google Optimize to test solutions alongside each other. I’ll be showing you how to test solutions with Google Optimize in this article. After registering and logging in, you’ll be met with the screen above, which helps you to get set up quickly and efficiently, in a step-by-step manner as indicated on the right-hand side. In short, all you need to go live with a design experiment is to link your account to the relevant Google Analytics account, create the experiment, and then, just as with Google Analytics, insert a code snippet into your website. After that, you’re ready to begin A/B testing. Google Optimize will walk you through the entire thing. 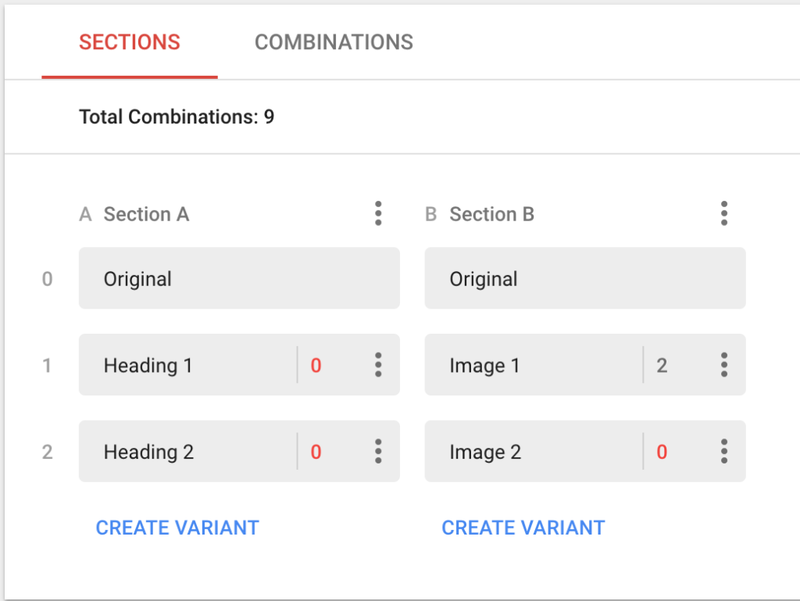 When creating variations, the Google Optimize visual editor will help you to reorder elements, change copy, and/or rewrite aspects of your HTML/CSS code. It’s up to you how complex you want your variations to be. Once you’ve created your variation, you’ll need to select the relevant Google Analytics Goals from within the “Objectives” tab (to become the objective of your experiment), and add a description or hypothesis to explain the expected results, so that in future you can refer back to your historical experiments and quickly understand the reasoning behind doing them. Customizing the targeting can be extremely useful when testing a highly experimental change that may have a negative effect on your website. Rather than risk losing traffic and/or revenue, you could show the variation to only 25% of your visitors, and the remaining 75% will see the usual variation. To do this, select the total percentage of visitors you wish to be included in your experiment in the Who slider on the left, and then split what percentage of those users go to which variation by clicking the Edit button on the right. Congratulations, your A/B test is now ready go live. Just click the “Start Experiment” button in the top-right corner! Pro tip: with Google Optimize, it’s possible to specify start and end dates for your experiments within the experiment options from the sidebar, so that you can prepare in advance for time-specific events — such as switching out your images and marketing copy over Black Friday and Halloween. Google Optimize recently added support for multivariate tests, which allows you to experiment in more detail. At first, these tests may seem a little complicated, but they’re actually quite simple — and very useful — once the concept sinks in. In short, these tests contain more than one variation. Let’s say that you have “big header” and a background image, where the KPI is to measure those clicking on the main CTA. To achieve the best conversion rate, both the heading and background image need to be relevant and engaging. But which combination of heading and images works best? Multivariate testing can give you the answer when you have so many questions/variations. This image depicts how multivariate testing works when you have multiple variations and combinations that you want to test. 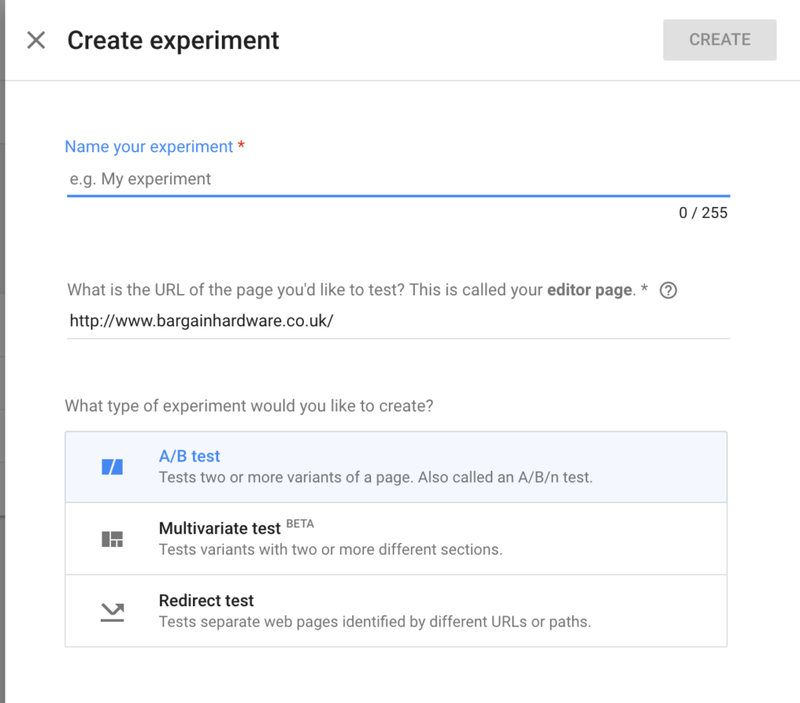 Go to the home page of your Google Optimize account and click Create Experiment, but this time select the Multivariate option. From here, creating a multivariate test is very similar to creating an A/B test. You’ll decide which elements will contain variations, and what those variations will be. 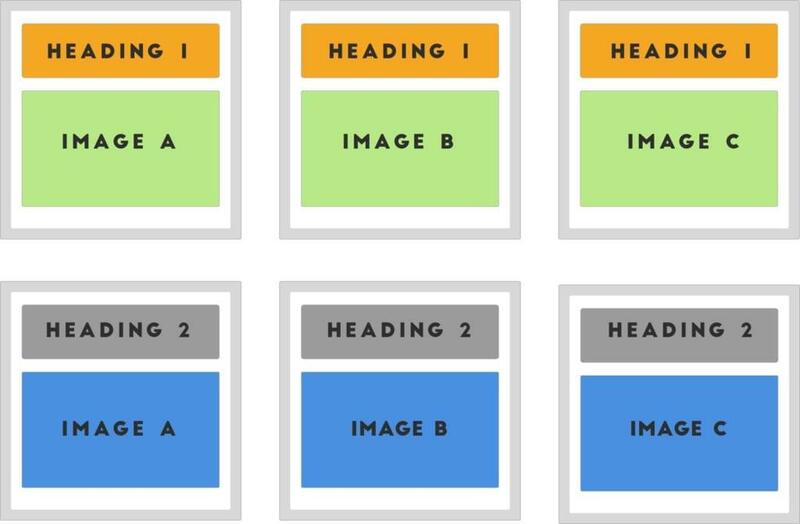 In the above example, there are two headings and three images, and we want to test every possible combination to see which converts better. This means that there will be six variations in total. Next, click the Combinations tab. Each heading will be paired with a variation from the other section. Then, customize each variation using the visual editor (like you did with the A/B test), select the relevant Goals that will be used to evaluate results, and hit Start Experiment to begin your tests. Redirect tests are simple experiments that send [x] amount of your visitors to a different URL entirely. This is useful if you need to make more expansive changes than the visual editor will allow. To run a redirect test, create a variation of your web page using your own resources and host it at a totally different URL. Next, create an experiment in the same way as before and select the Redirect test option from the right-hand bar to get started. Same concept, we’re just redirecting to a new URL this time. As you can see, Google Optimize offers a very comprehensive suite of A/B test tools for a free tool, and it’s really easy to use. Plus, thanks to the direct integration with Google Analytics, custom audience targeting is super-simple. The paid version of Google Optimize offers more multivariate testing capabilities, and the ability to run more than one experiment at a time as well. When your testing needs become more complex, it’s worthwhile to upgrade, or you can try out the leading tool in A/B testing, Optimizely.